Countdown to Eagles Football — 43 Days: How Did Chip Kelly Do in HIs First Offseason with Full Control of the Roster? Editor’s Note: This is the second installment of a 44-day series counting down the days until the Eagles season begins. The first part can be found here. Unlike yesterday’s question, the answer to this one is a lot more complicated and significant in terms of determining both the Eagles short and long-term outlook. To make personnel decisions that would help take the franchise from good to great. Despite back-to-back 10 win seasons and an NFC East title in 2013, Kelly made the determination that the Eagles were too much of a fringe playoff contender and not close enough to competing for a Super Bowl where a few roster tweaks could get them there. He needed something more. The merits of Kelly’s estimation can certainly be argued. As a counterpoint to Kelly’s findings, the Eagles beat a Colts team on the road that won 11 games and advanced to the AFC Championship. They hung with the then defending Super Bowl champion Seahawks on the scoreboard in December before succumbing to a 24-14 defeat but were thoroughly outplayed and beaten up throughout the game. Perhaps the biggest game in favor of Kelly’s argument was the embarrassing 53-20 mid-November loss to the Packers at Lambeau Field where Kelly’s Eagles were outclassed by a Green Bay team that ended up being minutes away from reaching the Super Bowl over Seattle. Regardless of how the determination was made, it happened, and Kelly set out to overhaul a roster that will have at least 10 new starters come September 14th in Atlanta. After three wild trades, some controversial departures, several free-agent acquisitions, thousands of Marcus Mariota rumors and one surprisingly calm draft, how did Kelly do in his first offseason running the show? On the surface, it appears Kelly made parts of the Eagles better. The addition of Kiko Alonso in the LeSean McCoy trade gives the Eagles their most talented inside linebacker since Jeremiah Trotter’s first stint in midnight green. Whether or not DeMarco Murray can come close to repeating a career year in 2014 remains to be seen, but him and Ryan Mathews give the Eagles more running back depth while simultaneously weakening their biggest division rival. Byron Maxwell is an instant upgrade in the secondary, one that was in desperate need of improvement when facing Dez Bryant, Odell Beckham, and DeSean Jackson twice a year. Rather than overpaying to retain the services of Jeremy Maclin, Kelly elected to go the cheaper route and attempt to replace him with rookie first round draft Nelson Agholor. Had the Eagles overpaid for Maclin, they may have been unable to afford a guy like Maxwell. All of these moves on paper make sense. On the opposing side of things, Kelly did not do much to upgrade offensive line depth or talent at the safety position, two spots that are glaring question marks as the Eagles head into camp. Any injury to the likes of Jason Peters, Lane Johnson, Jason Kelce, or Malcolm Jenkins could spell doom for the birds rather quickly. Then, there’s the biggest move of all. Kelly’s first offseason will largely be defined by the successes or failures of Sam Bradford in his system and Nick Foles in St. Louis. Kelly did not simply elect to swap quarterbacks with him getting the less accomplished one. He also surrendered a 2016 second round draft pick for the oft-injured Bradford who is scheduled to make 13 million dollars this season in the final year of his rookie contract while Foles is scheduled to make less than two million with the Rams. The previous two sentences underscore the biggest question mark about Kelly as a GM. It is abundantly clear to anyone who has watched the Eagles over the past two seasons that the man can coach, and his ability to identify talent going back to his Oregon days is impressive. The unknown lies in the asset management component of being a genera manager, something that can often be overlooked but essential in ensuring that the team is set up well for both the present and future. Would a more experienced GM have been able to execute the Bradford-Foles trade without giving up the extra draft pick, something that maybe could have enticed the Titans more in an offer for Mariota. When Kelly signed Maxwell and Murray, was he bidding against himself in those negotiations and did he need to pay them as much as he did? When Roseman had heavy influence in the draft, there are stories of Kelly overvaluing certain players like Jordan Matthews, Josh Huff, and Taylor Hart, wanting to select them a round before most other teams would have, and having to be walked back by Roseman, assuring him that they would be available when they picked again. Maybe veteran GM’s wouldn’t have the guts to do what Kelly is doing, and if Bradford stays healthy and turns into the franchise quarterback that the Rams once hoped he would be, no one will care very much about the lost second round pick. Still, football players are not acquired in a vacuum. There is an opportunity cost, both present and future, to every decision made, and whether or not Kelly can master the asset and resource allocation part of the job remains to be seen. As I have stated previously on Twitter and in 10 Things I Think I Think, I don’t believe Kelly’s offseason has the Eagles worse than the 2014 season, but there is a small fear that he rearranged chairs on the Titanic as opposed to strengthening the collective roster. Ultimately the Eagles are in better shape with Kelly doing everything as opposed to Kelly coaching somewhere else and doing nothing at all. Time will tell whether he is as capable of a general manager as he is a coach. This entry was posted in Uncategorized and tagged Byron Maxwell, Chip Kelly, DeMarco Murray, DeSean Jackson, Dez Bryant, Drew Balis, Eagles Training Camp, Green Bay Packers, Howie Roseman, Indianapolis Colts, Jason Kelce, Jason Peters, Jeremiah Trotter, Jeremy Maclin, Jordan Matthews, Josh Huff, Kiko Alonso, Lane Johnson, LeSean McCoy, Malcolm Jenkins, Nelson Agholor, NFL Training Camp, Nick Foles, Odell Beckman, Philadelphia Eagles, Ryan Mathews, Sam Bradford, Seattle Seahawks, St. Louis Rams, Super Bowl, Taylor Hart on August 3, 2015 by drewbalis. Beginning Sunday morning and continuing through September 14 leading up to the Week 1 Monday Night opener against the Atlanta Falcons, we’ll be answering an Eagles question on the blog each day as we countdown from Day 1 of training camp to the start of the regular season. That’s right, the announcement of a series that we not so subtly teased the other day has arrived. There will be content every day, and the best part is that YOU get to have a say in what it is because we give a damn about the drama that YOU do bring. Should you continue reading, you will hear the phrase ‘we give a damn about the drama that you do bring’ a few additional times. Those words, and more so, the idea behind it is near and dear to my heart when it comes to writing and interacting with people on the Internet. When I began to get deeper into writing about sports during my college career, one particular thing about the industry and some of the people in it bothered me above all. I felt as if they took their readers for granted, looking down upon them, insulted that someone would dare disagree with their opinion or leave a critical remark in a comments section. Interacting with their readers was a chore rather than something that should have been a fun part of the job, and what could have been an intelligent sports conversation with opposing viewpoints turned into a writer belittling a reader, under the false impression that ‘you need me more than I need you’ as opposed to being appreciative of readers, the primary reason that someone has deemed what you do worthy of being compensated in some way. What others saw a hinderance, I saw a competitive advantage. I would respond to all of my Twitter mentions, even those who disagreed with me on certain things, and would try to go into the comments section of my articles and interact with readers. I was no better than the people leaving the comments. I worked hard and just happened to be given a platform where people read what I had to say, and I appreciated them taking the time to pay attention to my content and wanted them to know that they were indeed valued. Websites, blogs, even traditional newspapers that exist in an online format are nothing without their community. I had a few haters who I was never going to win over and subscribed to the idea that if a couple people didn’t dislike you, you were doing something wrong, but I was always up for a discussion should they have ever had the courage to engage me. These thoughts should come with a couple caveats. First off, not everyone who writes about sports is an arrogant prick. There are plenty of writers out there who do make it a point to appreciate their audience and approach interactions with an open mind. Second, there are a good number of folks who are still finding success for the time being while looking down upon the role of their readers. I think and hope that it will begin to evaporate as more options are presented to readers and the importance of social media continues to expand, but it has not fully done so yet to completely remove people with that smug attitude from positions of power. Back to the project at hand, I certainly have some questions made up already. I love talking to myself and could get to 44 if need be, but I would much prefer some come from the readers because we give a damn about the drama that you do bring. From high level stuff like how long I think Chip Kelly will remain the Eagles coach to more nitty-gritty inquiries like how much the third down defense can improve from last season with a revamped secondary, we’ll pose compelling questions and attempt to give you quality answers day in and day out that state an opinion and subsequently drive conversation. For a general idea of what to expect, the initial few posts will focus on Kelly as he enters Year 3 with the Eagles fresh off a wild offseason, his first with absolute power. From there, we’ll transition into certain team questions about different position groups, key players, run-pass ratio (I’m a sucker for a good run-pass ratio story), and more. We’ll also have some fun along the way. We’re gonna play oddsmakers and break down the favorites to be the new whipping boy of Slap Bet’s crew with Nick Foles now in St. Louis. We’ll wax poetic about Huff Daddy’s kick return touchdown against Tennessee that had a 1 p.m. Lincoln Financial Field crowd going crazy and some of the other unforgettable moments of what looked like a memorable 2014 season before it was derailed in December. We should probably allocate some time to talk about Sam Bradford (and maybe Mark Sanchez too), because ya know, quarterback is a pretty important position after all. Other than that, the direction of the 44-day project is very much up to you. I have done a very similar series when I covered Penn State football (below is a screenshot of what posts will generally look like if you replace the subject matter with Eagles stuff), but I want to put more power in the hands of the readers. 10 a.m. — 11 a.m: Over the course of this hour, we will send 10 total tweets in a segment I call ’10 Things I Think I Think’ about the Philadelphia Eagles headed into training camp. 11 a.m: We will publish a blog post that features these 10 tweets and expands on them. 11:10 a.m. — In addition to 10 Things I Think I Think, our series will be off and running as we answer the first of 44 questions. WE GIVE A DAMN ABOUT THE DRAMA THAT YOU DO BRING. This entry was posted in Uncategorized and tagged Atlanta Falcons, Chip Kelly, Drew Balis, Eagles Training Camp, Lincoln Financial Field, Mark Sanchez, Monday Night Footbal, NFL Training Camp, Nick Foles, Philadelphia Eagles, Sam Bradford on July 31, 2015 by drewbalis. Six days ago, we brought you some news that the Eagles training camp program featured an interesting line in the “Offseason Recap” section. In the truest sense, the building of the 2104 Philadelphia Eagles roster began just days after the 2013 season ended. In the picture atop the post, the program from last Monday is on the left while today’s is on the right. Multiple attempts to reach the Eagles seeking comment have to this point been unsuccessful. A few tweets to the best social media team in the city pointing out the line have not yet received a reply. Your Philadelphia Eagles, folks. Always ahead of the game, always innovating. This entry was posted in Uncategorized and tagged Chip Kelly, Drew Balis, Freudian slip, Howie Roseman, Jim Johnson, Lincoln Financial Field, Mike Freeman, NFL Training Camp, Nick Foles, Philadelphia Eagles on August 3, 2014 by drewbalis. Earlier this afternoon the Eagles held their first open training camp practice at Lincoln Financial Field. For many fans, it was their first time back in the stadium since the Saints ended the Eagles season shortly before midnight back on January 4. Like most teams do, the Eagles distributed training camp programs as people made their way through the gates of the Linc. The program is pretty cut and dry with your season schedule, a roster, some player features, and a few advertisements. 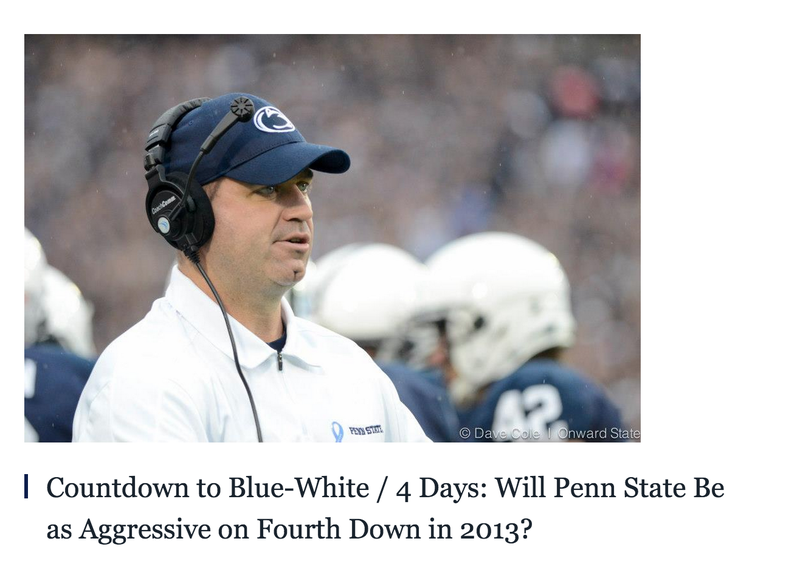 The opening sentence of the “Offseason Recap” section sticks out though. The logical conclusion is to simply believe someone made a typo. But could there be more to this? Well, maybe Chip decided a millennium is a long time to commit to a guy, but there’s nothing wrong with nine decades. I will gladly take Kelly and Howie Roseman planning 90 years in advance over Jerry Jones still believing it is 1994 down in Dallas, completely puzzled when it comes to managing a salary cap. So, mistake by some intern who inverted the numbers or a fantastic Freudian slip? This entry was posted in Uncategorized and tagged Chip Kelly, Dallas Cowboys, Eagles Training Camp, Howie Roseman, Jerry Jones, Jim Johnson, Lincoln Financial Field, Mike Freeman, New Orleans Saints, NFL Training Camp, Nick Foles, Philadelphia Eagles on July 28, 2014 by drewbalis.